The only new or in development MMORPG anywhere on my radar continues to be Pantheon. From a concept standpoint, it seems to scratch all my itches in all the rights spots. An old school themed and group focused rpg is what i’ve been craving for a while now. Unfortunately every new game touting any sort of similar elements all seem to be relying or focusing on PVP. I’ve said this to be a mistake for a while and will continue to feel that way. Pantheon seems to be the only one of these games on the horizon focusing on group PVE as it’s foundation and this excites me. I do worry though. 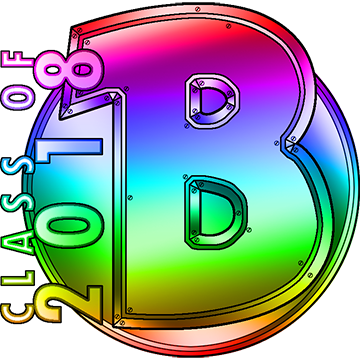 One of my fears of an old school group focused MMO is class and role rigidity. I’m all for strict and defined class roles as i feel they make for greater interdependence. This is really important for a group focused game such as the one Pantheon is attempting to create. Everyone has a specific role and they stick to it for better group synergy. What i’m not for, however, is forcing certain roles onto players based on their class selection. I like having the option to choose my role. This is actually tricky the more i think about it because certain classes scream out for certain roles. No need to look any further than the Cleric to understand what i mean. Everyone i’m sure understands that playing a Cleric means healing and playing a Rogue means DPS. Though there are exceptions, i think overall players understand their roles with those classes. I’m more concerned about the classes that have had multiple roles in other MMO’s. The hybrids if you will. My archetype of choice has always been the plate wearing dps class. More specifically, the disease spreading, undead manipulating, blood curdling Death Knight/Shadow Knight/Dark Knight archetype. I enjoy playing these classes to their fullest potential as the damage dealing machines that i think they are. This is why i fear i’ll be relegated to a role i don’t enjoy if i want to play these classes in Pantheon. 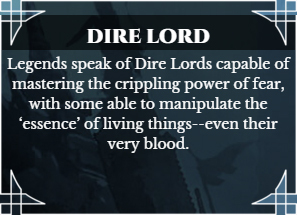 Dire Lord seems to be the DK/SK variant and i worry they’ll be stuck on tank duties. Now just to be clear, this hasn’t been directly said by anyone working on the game as far as i know. If it has then please let me know so i can provide better feedback on this issue. It’s more of a fear i have from reading the official forums, which i know can be a mixed bag of crazy and depressing. I could just be reading into more than is even there at this point, but it’s still a valid concern i have as the development of the game moves forward. I see other options class wise i could possibly pursue if my fears are right, but they’re all plate wearing ones as well. Are all of them destined to be stuck in a tank role and nothing else? I really hope not because that would definitely shatter my hopes for what this game could potentially be in the future. For all i know, i could be completely off base. At least i hope i am. I’m anxiously awaiting more news.